PPI is now acknowledged to be the largest scandal in UK financial history, with £14.7 billion having been reclaimed by customers so far. It has turned into bankings worst nightmare because it was mis-sold on an industrial scale to people who didn’t want it, didn’t need it and, in many cases, didn’t even know they had it. Now the banks are having to pay back billions in compensation. Payment protection insurance was a good product. It was designed to allow you to meet your payments on a finance agreement if you come out of work through accident, sickness or unemployment. It was meant to give you the peace of mind, that you won’t fall into arrears with your finances and the product actually performed well for thousands of people. Payment protection insurance was sold as an add-on to loans, mortgages, credit cards and other financial agreements & the problem of PPI wasn't with the product, but in how it was sold to people. When customers fell ill or were unable to work, they attempted to make a genuine claim on their payment protection insurance product. But 'exclusion clauses' often made it impossible to use the product and obtain the expected payout. Exclusion clauses have been used in insurance products for many years and are designed to stop insurance companies having to pay out unfairly. The problem did not lie in the exclusion clauses, but in the advisors that sold the product not checking whether a customers situation (such as medical conditions / employement status) would prevent them from making a successful claim. Research by the Citizens Advice Bureau showed that only 15% of policy holders were able to make a successful claim. The success rate for motor insurance claims is 74% and 55% for household claims. As with any financial product, the banks should have ensured proper advice was given to their clients on whether or not PPI was suitable for them. But sales staff were often highly incentivised to sell as many policies as possible. If proper PPI advice wasn’t given, the policy was mis-sold as suitability should have been taken into account at the point of sale. Pressure selling techniques were often used to persuade customers by playing on their fears of what might have happened in the future. Some banks led customers to believe it was a compulsory product and was required in order for them to take out the loan they wanted, or that taking out a PPI policy would improve their chances of being accepted. Some customers weren’t even sold into taking out a policy, the bank simply added it to their loan without even telling them. On top of this, they then charged interest on the up-front premium for the length of the loan. 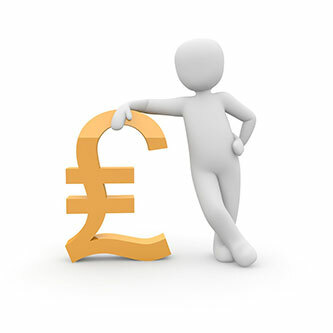 PPI added up front to a £10,000 loan could add £4,000 to the overall cost. If it was taken as a single premium it would put the overall cost up to £16,000! Many sales staff failed to establish whether or not the customer already had cover in place for their credit repayments or if their employer’s sick scheme would cover their payments without need for any insurance. Policies have buffer periods of up to 90 days - so the customer must be out of work for three months before any payments are made. If it’s only a short-term absence, the policy is useless. Payment protection insurance has become the biggest single financial scandal in British history. The banks have already paid out more than £14.7 billion on payment protection insurance claims and have earmarked another £7 billion to pay future successful claims. The UK’s banking regulator is the Financial Conduct Authority who have become so concerned with the way the banks are investigating PPI claims that they have started a major inquiry into the high street banks to ensure they are following the regulations properly. Our advisers can help you apply for your refunds, select Quote now.